San Jose, California – September 19, 2018. 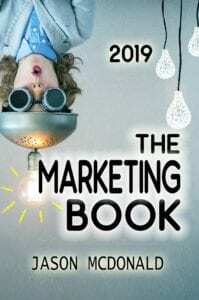 The JM Internet Group (https://www.jm-seo.org/), a leader in digital marketing books for small business marketers, is proud to announce that the 2019 edition of The Marketing Book is now available as an Audible Audiobook for small business owners and marketers. The book aims to help small business owners and marketers rethink their marketing effort, and uses an innovative teaching methodology, based on the think / do / measure method of how to do small business marketing. The Marketing Book can be purchased online on Amazon at https://jm-seo.net/thema0e278 or on Audible at https://adbl.co/2QLxvG6. More information about the book is available at https://www.jm-seo.org/books/marketing-book/. Here is background on this release. The Marketing Book is based on the think / do / measure method of marketing. Each Chapter explains a marketing task by, first, explaining how to think about the concept, second, giving readers specific action itmes to actually go do it, and third, providing tips on how to measure what’s working (and what’s not) to do it better over time. Having it in audio format, means that business small business owners and marketers will be able to listen in on their busy commute. In addition, the audiobook includes a complementary PDF edition, so that once they get into the office, they can review the book in PDF format. Indeed, the book also includes worksheets and tools available after registration. A sample section, for example, would be Section #2 on building one’s brand. Brand identity is first explained at a conceptual level, including the four P’s of marketing of product, price, place, and promotion. The section also digs deeps into the so-called “Promotion Mix” focusing on public relations and advertising methods of marketing and promotion. A heavy focus on digital marketing is central to the book, though it also covers traditional or non-digital avenues such as trade shows and meetings with journalists. The section concludes with a discussion of reputation management, something that is very critical in the modern digital age. Other Chapters focus on topics such as content marketing, advertising strategies both off line and online, and even remarketing and word of mouth. The conceptual book is becoming a “must have” Bible for anyone doing marketing today. 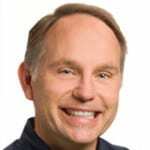 This entry was posted in Press Releases and tagged Marketing, Marketing Books on September 19, 2018 by Jason McDonald.